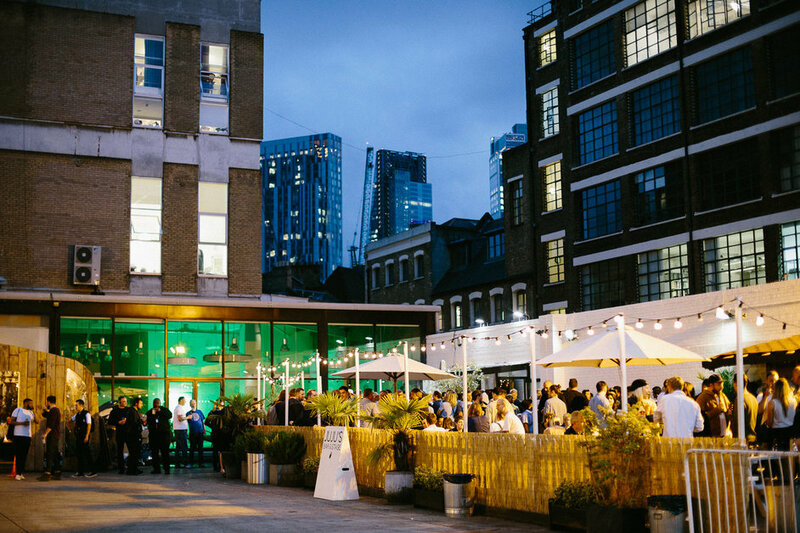 Nestled in the heart of the Old Truman Brewery, tucked away at the back of Ely's Yard, Juju's Bar and Stage is a haven for arts and music alike. Talks and events are an integral part of Juju's, ranging from live acts to talks, from science to literature. Take the Pint Of Science Festival in May for example. It's a chance to hear top s cientists discuss their latest research and findings - and you don't need a degree in astro-physics to hear them. With everything from immersive, experiential live music to the regular 'Book Slam', Juju's offers first class entertainment. Well known names like Sam Smith, Nick Hornby, Adele and Kate Nash have all performed here. JuJu's Bar and Stage clubs, bars, cabaret nights, casinos and interesting nightlife. What are the best dining options near JuJu's Bar and Stage London? JuJu's Bar and Stage gyms, sporting activities, health & beauty and fitness. The best pubs near London JuJu's Bar and Stage. Where to have your meeting, conference, exhibition, private dining or training course near JuJu's Bar and Stage. From cheap budget hotels to luxury 5 star suites see our discounts for JuJu's Bar and Stage hotels, including Ace Hotel London Shoreditch from 85% off.